Frostfire Turtle (Heal/DPS). Revision of Napalm Turtle. 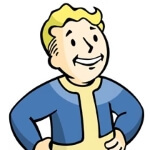 Howdy Partners, nice to have you on FalloutBuilds.com! Posted by targetrein2 in Fallout 76 Character Builds. Uh uh. I know what you’re thinking. “Did he fire five shots or only four?” Well to tell you the truth in all this excitement I kinda lost track myself. But being this is a .308 hunting rifle, the most powerful rifle in the low level wasteland and would blow your head clean off, you’ve gotta ask yourself one question: “Do I feel lucky?” Well, do ya, punk? 19 posts, last by nulldesu 4 months ago. Posted by HowZany in Fallout 76 Character Builds. 6 posts, last by Alex 5 months ago. Posted by X0X609X0X in Fallout 76 Character Builds. 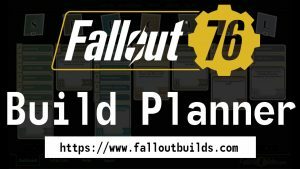 This is a solo build that focuses on PvE with non-automatic rifles and lots of Vats. I give more ephasis on the damage output and crit change than defence. Strength perk is for carring junk instead of melee resistance since you will be 80% of the time out of reach. Critical Change is high plus you only spend 55% of the critical meter. That means that you will be able to crit as often as possible. Posted by Bemyguest in Fallout 76 Character Builds. I followed FrenchTomahawks Stream on Twitch during the last beta sessions. He was the first to actually reach level 50 and stopped streaming at lv 55. So I thought I’ll post his build he showed nearly at the end of his stream (I think he was level 52 or 53 at this point). Posted by nulldesu in Fallout 76 Character Builds. 65 posts, last by nkotbElisk 1 month ago. 2 posts, last by Woozy25 5 months ago. Posted by onekoni in Fallout 76 Character Builds. 3 posts, last by CooLTanG 5 months ago. Posted by Jetrpg in Fallout 76 Character Builds. Bad Buddy, a Buddy who is also Bad. Being a Strength (STR) build, it helps a bit with carrying (+70 carry wt with 15/15 STR). Not only this but if you don’t yet know Melee appears to be the highest damage and best pvp builds atm. 8 posts, last by Mattthebandit 5 months ago. 4 posts, last by Joe T 5 months ago. 3 posts, last by HowZany 5 months ago. Posted by DMFritz in Fallout 76 Character Builds. Just a build that I’ve settled on, based on personal preferences and the fact that I’ll likely be forced to play mostly solo. The general intention here is to be flexible, able to access any area, and have decent survivability. Decided to focus on a run and gun pistol play style, with a couple perks enhancing V.A.T.S. in order to clear out groups of trash mobs.